Ted Nugent will be playing at the Val Air Ballroom on July 21st. Yes, that Ted Nugent. Perhaps he'll be offering some lessons on preparing wild game for dinner. It's nice to see the Val Air, which went through a number of close calls with extinction -- not the least of which included the Floods of 1993 -- appear to rise from the ashes to become a pretty regular site for decent concerts. Nugent will be following the D-O-double-G, who plays the Val Air on July 3rd. Listed below are links to blogs that reference this entry: We got your Ted Nugent, right heeere. 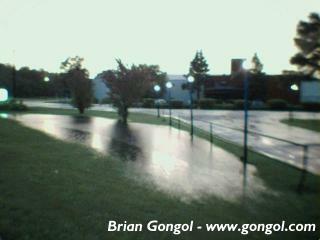 This page contains a single entry by Brian Gongol published on June 26, 2008 11:54 AM. Amateur flood photos show just how high the water rose was the previous entry in this blog. Standby for severe weather is the next entry in this blog.